One of my favorite 911 builds, Blake's Plymouth Arrow pickup-inspired 911 934/5 Group 4 got crashed nine month after I wrote about it. Now, it's on Ebay looking for a new home and some love. Yes, the car is now gone. RIP bczrccr. It happened last March 2014. The accident was due to another driver and the combination of cold and wet tires and no ABS obviously. I was very thankful to have a cage in the car as it saved my life. It's a shame I still don't have the car but was fortunate enough to have built it and enjoyed it for as long as I did. 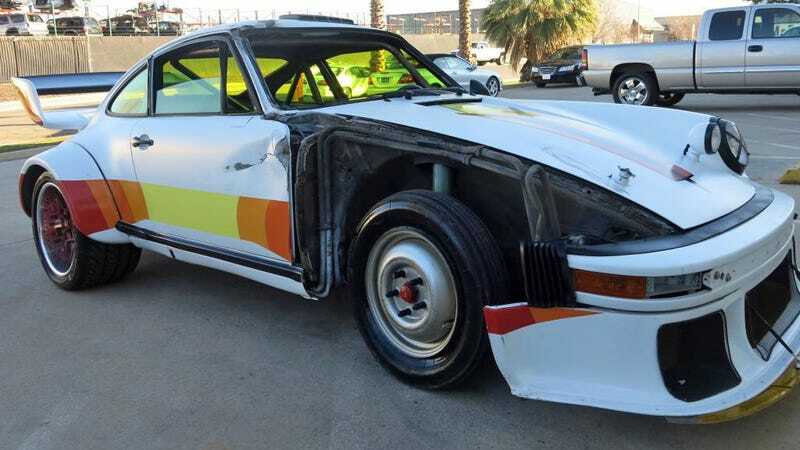 This colorful wonder that's officially still a 1981 Porsche 911 SC with 94k original miles on the clock runs and drives, but has a Arizona Salvage Title and is currently not registered.